It is really important to understand that catching viruses early makes our job much easier and the damage to your computer much less likely. Rootkits and Trojans can easily take control of your computer functions and stop access to programs and the internet. Be advised at times a computer might be to far damaged and non recoverable. 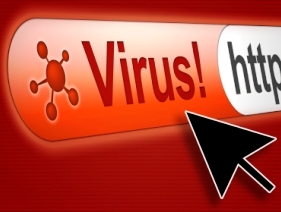 Viruses associate with good software files and are sometime removed during the clean up process. These files could be essential Windows operating files needed to run the Windows operating systems or other essential programs on your computer. At this time it is suggested that all files be copied and scanned before being reloaded on a freshly formatted and reloaded computer. Please note that antivirus programs are designed to be preventative in nature and to catch viruses while they happen. Ordering an antivirus program in most cases will not remove a currently embedded malware, spyware, adware, virus or rootkit. Once a virus, malware or spyware has attacked a computer and has embedded its malicious code the program may not be able to resolve the problem by itself. The source of the problem must be detected and removed first prior to running antivirus or malware programs. Many times the source file is embedded in System, Registry or Program folders. Each code is unique and embedded in a different manner. Our staff has worked on many of these programs and understand the nature in which the code is developed. VERY VERY IMPORTANT – Some Virus, Malware, Spyware programs will download into your computer and immediately appear and inform you that your computer is infected. The programs look really real but these programs are know as fake alert programs and are designed to scare you into buying the solution. These common type of program are known as Trojan Vundo or Rogue Antispyware and like may fake alert programs the design is to retrieve your money and credit card information. Do Not Order from these sites or programs. It is a scam. If you have done so immediately call your credit card company and inform them of the fraudulent transaction and ask for a stop payment of funds.